This is a replacement hole cover for the Abloy Lockable Thumbturn Deadbolt. The Abloy Lockable Thumbturn Deadbolt installs using screws that are normally hidden behind a hole in the thumbturn. This cover provides an attractive cover for that hole. If you need to remove your lock it is possible to damage the hole cover. If you are careful normally you can pry the cover off without damaging it, however if damage occurs you can order this replacement cover. The hole cover is a non-critical part so if you just break one of the legs off your existing cover you can use a dab of glue to hold it in place without issue. 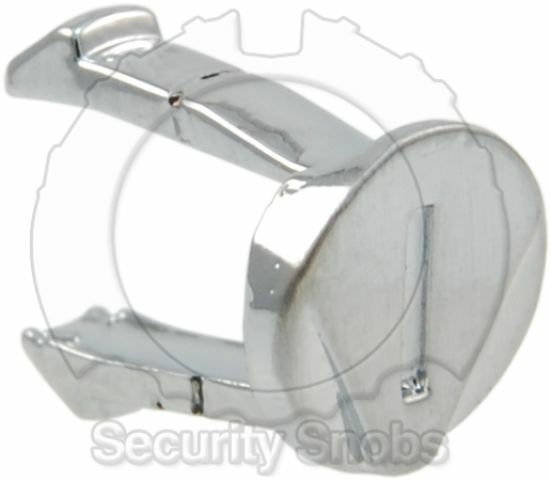 Abloy Lockable Thumbturn Deadbolt Replacement Hole Cover was successfuly added to your shopping cart. You can browse for more products or proceed to checkout.